Emily Bronte’s Wuthering Heights is a novel so well-known that its name is often enough to evoke a sense of gothic nostalgia in readers. It’s a book that carries a certain weight, a sense of heaviness and density even before it’s read for the first time. So it was when I read the novel in school, I came to it prejudiced. We had posters on the classroom walls of film adaptations of famous books and the Wuthering Heights one seemed so miserable and bleak that the story itself would surely be quite dull. Of course, that wasn’t the case. On reading the novel I soon skipped well ahead of the class and raced to the end. I have my copy today, it’s something like 15 years old and is filled with highlighter and pen, scribbles and underlines. What those notes told me then and tell me now are what most people already know about Wuthering Heights. It’s a novel about love, class, abuse and obsession. Gothic and ghostly, it’s also grounded in the earthy landscapes of Yorkshire, Bronte’s home. The story follows the life of Heathcliff, half through his childhood and half about his adult life. A low-born boy, he struggles to live with the lifestyle given to him by the man who found him and adopted him. Falling in love with his adoptive sister, a series of tragedies lead him to become a wild and heated man. Key to the success of the novel is Heathcliff, one of the most famous and complicated anti-heroes in literature. Purposefully kept a mystery, we only know him by his actions, which are volatile. We know he loves as strong as he hates, and possesses both the ability to get what he wants and to let it slip away. More than most characters, he’s flawed, conflicted and yet remains a gothic hero. His relationship with Cathy dominates years, decades and generations of two families. It’s his monstrous, yet somehow relatable, love for her that holds every sentence together. Thrown together, torn apart, despairing and hoping, the two seem to fight class, education and nature itself in their urge to be together. In his excellent review, Robert McCrum says that “as a portrait of “star-cross’d lovers” it rivals Romeo and Juliet.” It’s hard to argue anything less, perhaps only that their destiny almost feels too chaotic and lifelike in its resolution, rather than Shakespeare’s tragic but tidy conclusion. More than anything, this is a novel about passion. 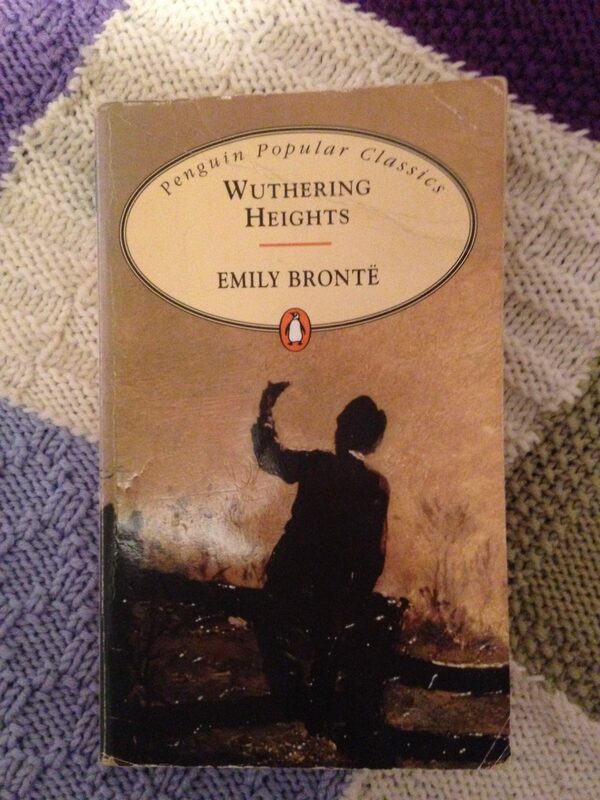 It’s safe to say that without the excitement I felt reading Wuthering Heights fifteen years ago and the unexpected thrill of destroying my prejudice, I doubt I’d have the same passion for books as I do today. Wuthering Heights is one of The Guardian’s 100 Best Novels. Emily Bronte was born in 1818 and published only one novel in her lifetime, Wuthering Heights. She died aged just 30, a year after the book’s publication, with no knowledge of the legacy she created.